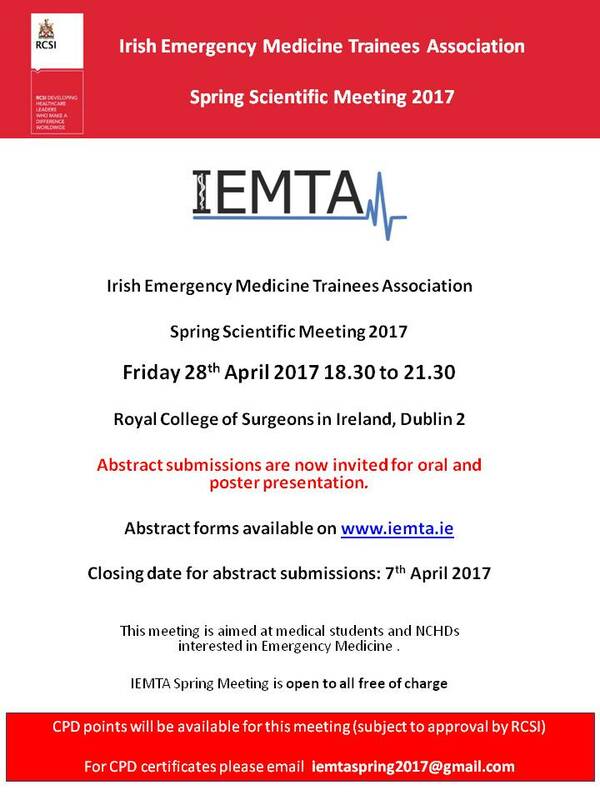 Home Archive by category "IEMTA Meetings"
Spring Meeting 2016 – Call for Abstracts! 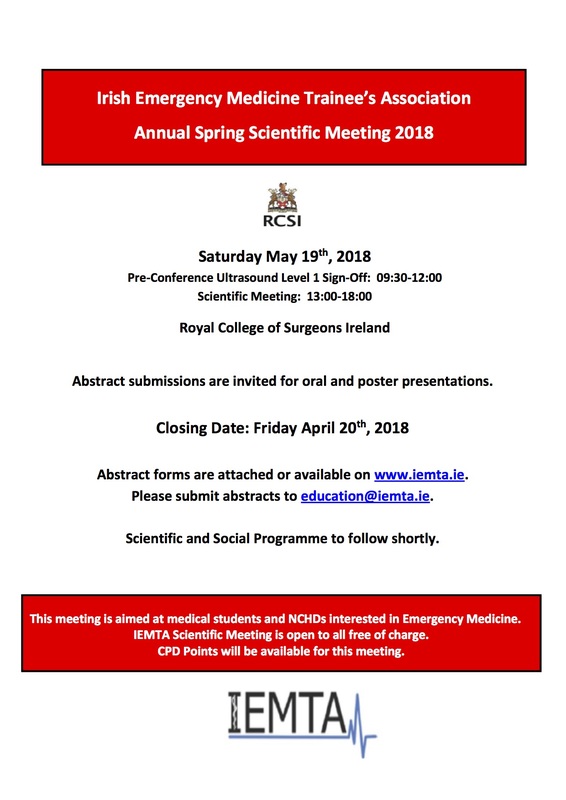 The IEMTA Spring Scientific Meeting will take place on Friday April 29th from 18:30-21:30. 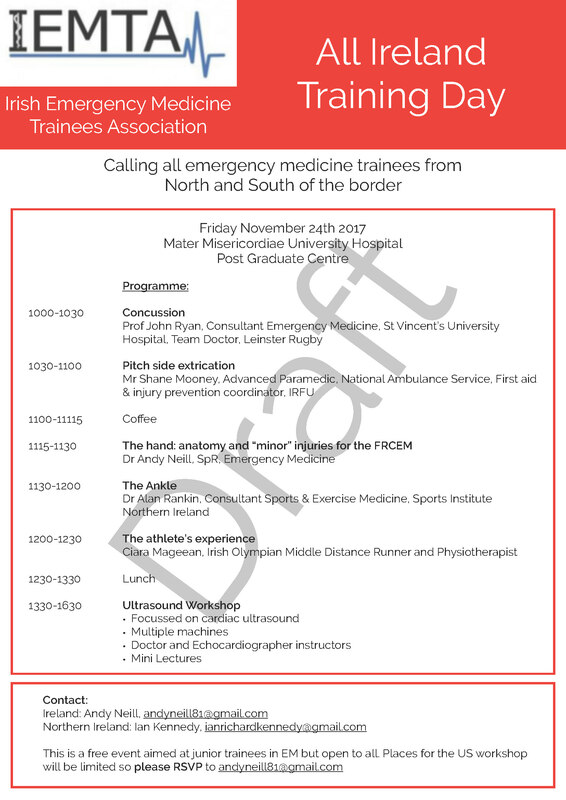 This meeting is aimed at NCHDs and medical students interested in Emergency Medicine. 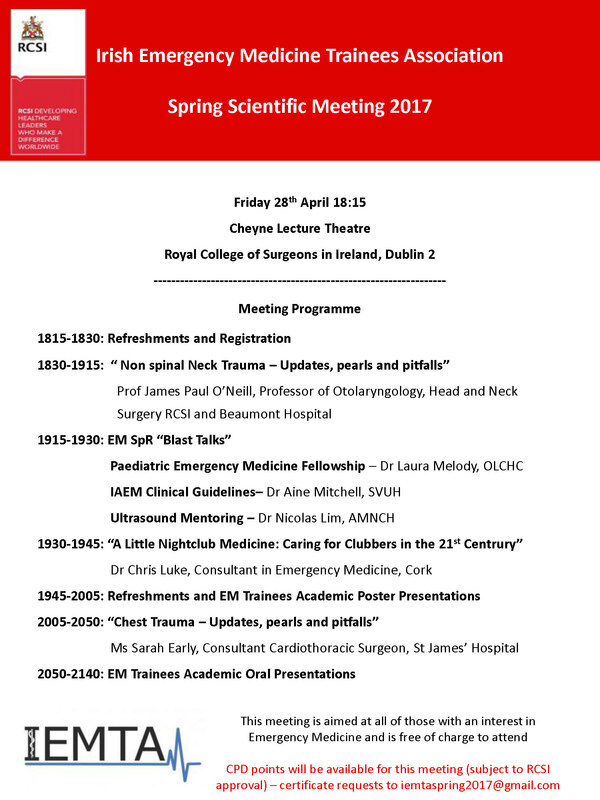 Venue: Catherine McCauley Post Graduate Centre, Fintan Gunne Theatre, Neslon Street – Mater Misericordiae University Hospital. This meeting is open to all free of charge. CPD Points available.